RUSSIAN IT-company and Ai developer, Cognitive Technologies, has developed a new version of its autonomous driving system for harvesters that can work at night. The latest development follows the company’s successful field testing of a prototype autonomous harvester in August (see Grain Central story). 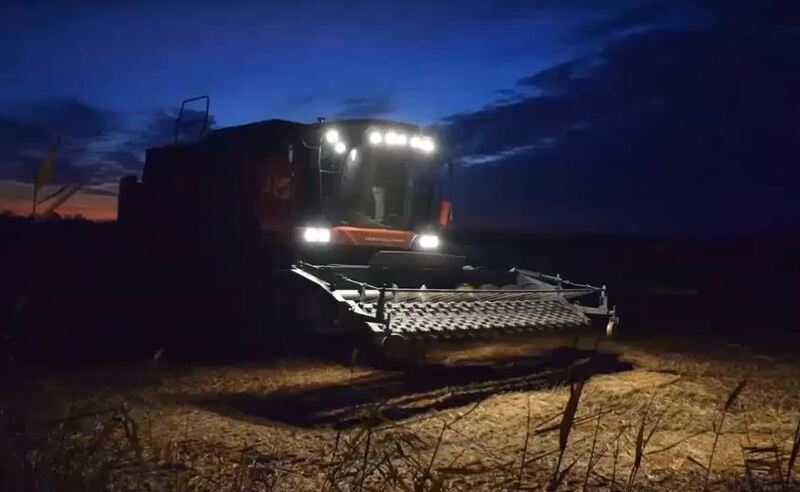 Cognitive Technologies president, Olga Uskova, said the ability to work at night time would minimise the impact of the weather and human factors and could improve the quality of grain harvesting by 25-30 per cent. She said the new system was capable of performing more complex manoeuvres than its predecessor. “At any time of the day the harvester equipped with the system is able to make a U-turn or move along a difficult and curved trajectory,” he said. The system itself determines if the harvesting collection boundary starts to deviate from a straight line. If this happens, the combine itself simply corrects the track and continues harvesting. “It is important that the harvester is able to determine not only the edge of the field: the system recognises other machinery, people and animals,” Mrs Uskova said. “It also understands where the field is already processed, and where it is not. Mrs Uskova said the machine used a camera as its main sensor for collecting data and navigating. “The harvester does not need a high-precision GPS: it can be completely autonomous, relying only on the video signal,” he said. Tests were carried out on the TORUM 760 combine harvester jointly with the Rostselmash combine manufacturer in the Rostov region of southern Russia. The autonomous harvester worked on a rice field of 40 hectares and successfully passed all the tests in the night. Cognitive Technologies expects to create a fully autonomous grain harvester by 2023-2024.